1. Hope you like mango - and nearly every other delicious tropical fruit. So much is in season in July! Sweet mangos are practically dripping off trees. Pineapple is like candy. Avocado is everywhere, as is banana, guava, watermelon, and papaya. Mamey, which tastes a bit like a creamy pumpkin pie milkshake, is a Cuban favorite and a must-try. 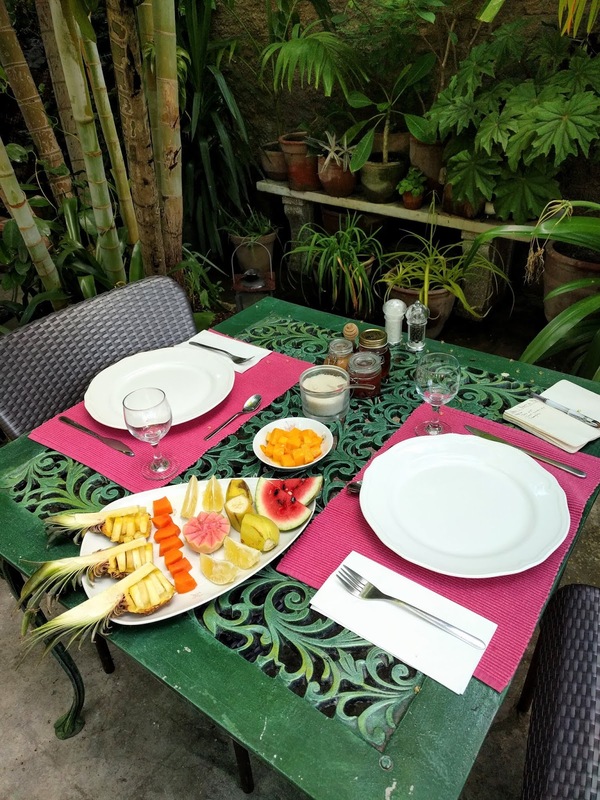 At breakfast you will be offered a large plate with a variety of sliced fruit for you to eat at your leisure. You'll also have a glass of freshly made tropical fruit juice. What better way to start your day? Everything is organic. 2. The beginning of summer vacation. July is the first month of vacation in Cuba. Children and adults have been waiting for this the whole year, they are excited about what's coming. People are in exuberant spirits. Leisure, music, excitement, and fun - you’ll likely be caught by that beautiful summer energy and you won't want to leave. 3. Art is everywhere. July offers a high point in the arts, and much of it is outdoors. Streets, theaters, squares, nightclubs are more alive than ever. It isn't unusual to accidentally stumble upon an outdoor concert featuring a famous Cuban orchestra. In Havana, the Arte en la Rampa will surprise you with inspired arts and crafts with negotiable prices. Arte en la Rampa also offers literary events, live performances, and activities for children. 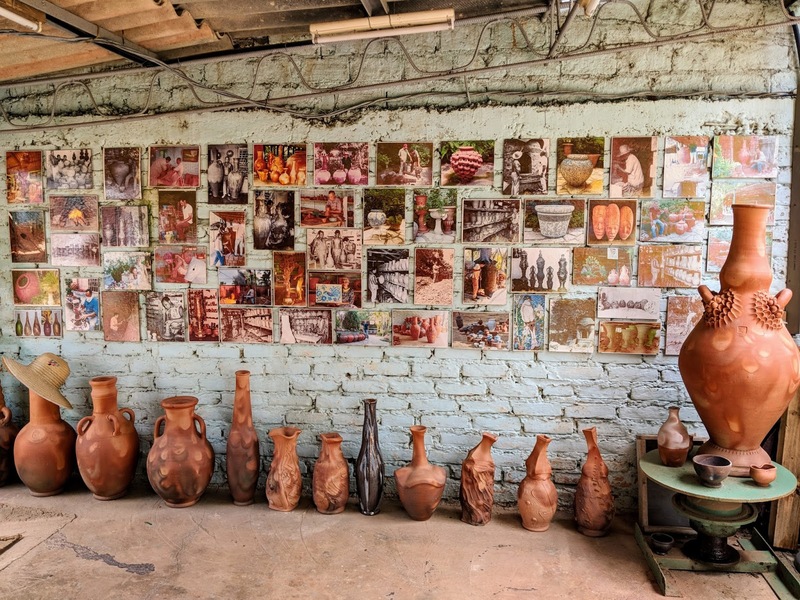 There is a huge art movement throughout all of Cuba in July. 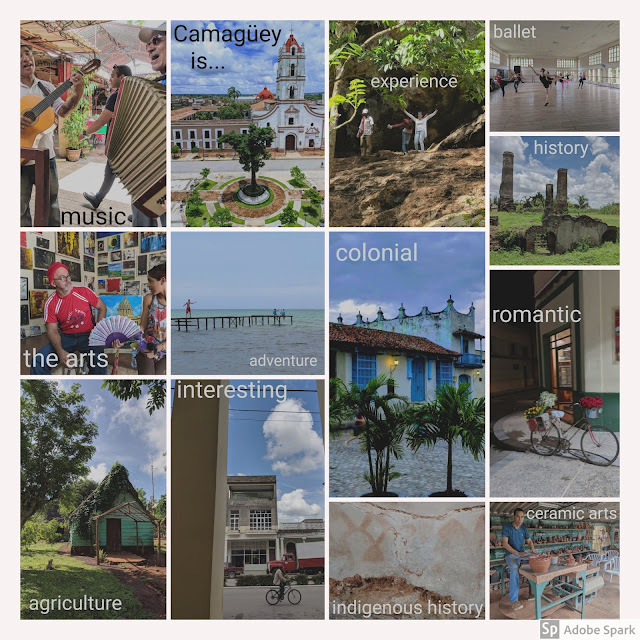 In fact, the city of Camagüey, known for having a strong cultural movement will be celebrating the 10th anniversary of its induction as a UNESCO Cultural World Heritage site this July 2018. 4. Sunny weather. The average temperature in July is 27.5° C (81.5° F) - while undeniably warm, the trade winds and the occasional late afternoon showers help cool things off a bit. July is the driest month of summer, with an average rainfall of 101.6 mm (4 inches). The likelihood of a hurricane in Cuba in July is extremely low. During Cuba's hurricane season (late August), the country is well prepared to take measures to mitigate any danger and to evacuate people to safe areas. Not only does Cuba send aid to other Caribbean countries when they are damaged by hurricanes, the U.S. government has sent delegations to Cuba to study Cuba's procedures for pre- and post-hurricane preparedness. Cuba is the safe place, and July is the tranquil time. 5. International Events. July is a month of great international events such as, International Low Budget Film Festival of Gibara (Holguín), the Fiesta del Fuego July 3-9 (celebrating Afro-Cuban history and culture in Santiago de Cuba), and Santiago de Cuba's wild Carnival festival celebrated in the second half of July. Cubans know how to celebrate. 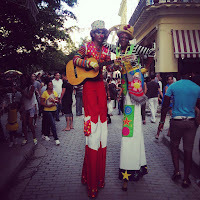 Festivals often celebrate Afro-Cuban culture and tradition. Cubans and visitors become one with vibrant music and dance. 6. Long days offer more experiences. July has the largest number of sunlight hours of the whole year. With longer days come more opportunities to explore and experience the many things that Cuba has to offer. We like to take in as much as possible in the morning, relax with a late afternoon siesta, and then enjoy some of the many cultural events going on in the evening. You can take advantage of the longer days to broaden your experience of Cuba. 7. Getting to know the Cuban people. There is no better time in the year to have a real connection with Cubans. 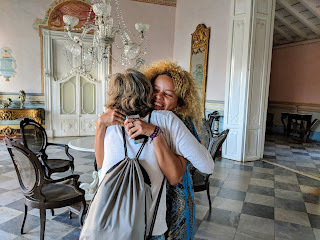 This is the time of their vacations too, so you will get to rub shoulders with Cubans having fun in colonial plazas and festive parties, likely sharing the same goals as you: taking in cultural treasures, relaxing, and having fun. This is the best time to see Cuban children playing soccer or baseball on the street or in parks and plazas. For Cubans, summer is the season of celebrating all that life has to offer. Families gather to hang out together. They go to the beach and to campismos (camping sites and nature retreats). During summer, Cubans are at their best: happy, smiling, and in repose. Most of all, Cubans are generally friendly and easy to get to know. 8. July 26th: Celebration of the Socialist Revolution. This year Cubans celebrate the 65th anniversary of Fidel and Raul Castro's attack on the Moncada Barracks, which triggered the success of revolutionary movement. It was July 26th, 1953 in Santiago de Cuba when a group of young men led by Fidel Castro started the small engine that would speed up the huge machine of the Cuban Revolution. No matter what province you are visiting, you will be able to see the parades, meetings and celebrations on this day. 9. Way fewer tourists. More opportunities for you. July is a low season month in tourism with regard to international visitors, so you will not have to deal with the overwhelming numbers of tourists that we see in the high season months of winter. You'll get Cuba to yourself, to share with the culturally beautiful people around you. 10. Idillic beach experiences. Summer in Cuba is undeniably warm, which makes it the best time of the year to enjoy the Cuban beaches. The sun is very strong but most beaches offer ample shade structures and a nearby bar or restaurant offering refreshments. Cuba offers some of the finest white-sand beaches in the world, mostly along the northern coast. With colorful coral reefs, Cuba also offers some of the most beautiful diving and snorkeling in the world. Want to experience what Cuba offers in July? Take advantage of our new weeklong trip to Camagüey, Cuba this July 25-31. 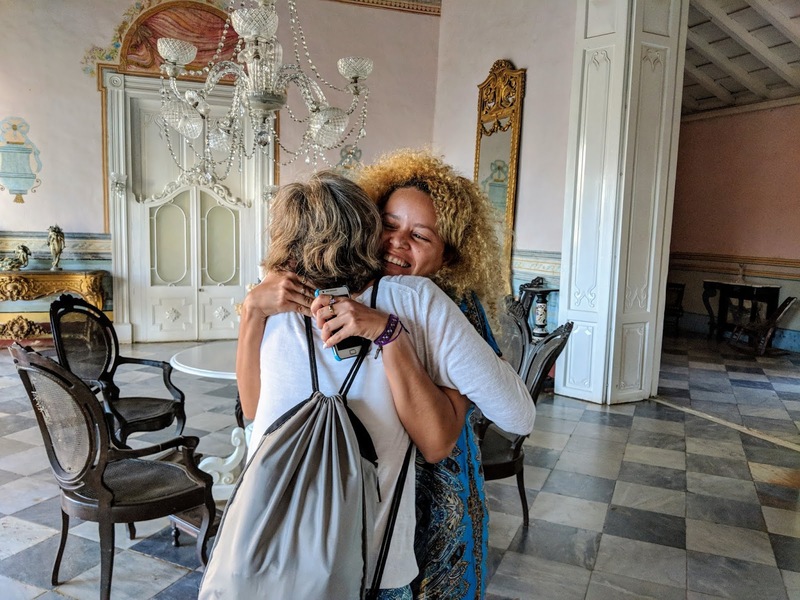 A 7-day immersion into the arts, behind the scenes of the ballet, live traditional music, an abundance of colonial history, and vibrant land and sea ecology of Cuba. Book now and save $200 by entering soltura200 when checking out.